Irrfan Khan plays the character of Champak, a sweet-shop owner in Angrezi Medium. The film is set in Udaipur and features Radhika Madan playing the character of his daughter who wants to study in the UK. 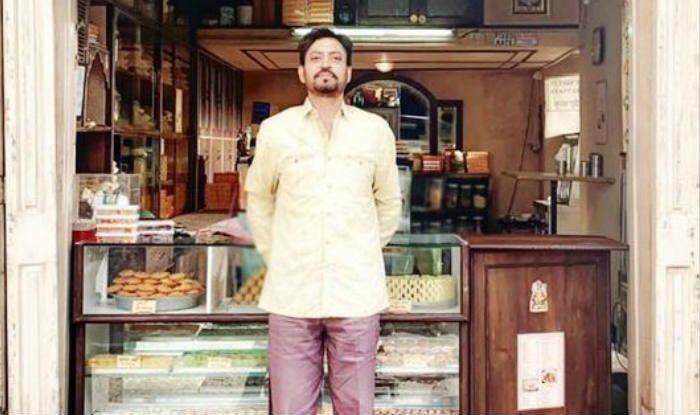 Actor Irrfan Khan has shared a new visual from the sets of his upcoming film Angrezi Medium. The actor plays the role of a sweet-shop owner named Champak. In the new still, he can be seen dressed in his character, posing outside his small shop named GMB – Ghasiteram Mishthan Bhandar. 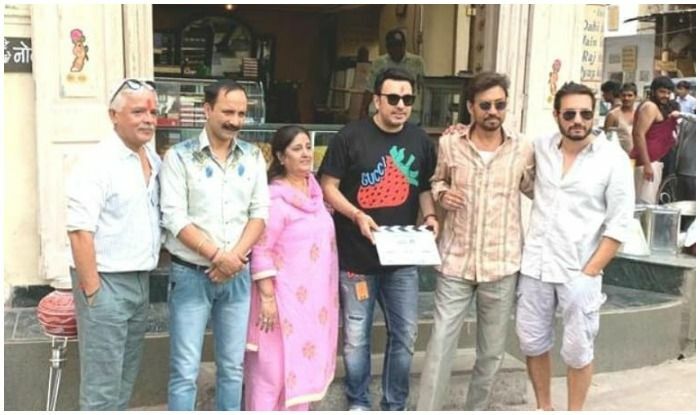 Reportedly, Irrfan’s Champak is a man who inherits a 100-year-old sweet and snack shop in Udaipur along with his brother, played by actor Deepak Dobriyal. Irrfan expressed his excitement while sharing the new image on social media. He wrote in the caption: “GMB serving since 1900s It’s going to be fun to tell another story #AngreziMedium. Earlier, his other stills from the film-sets went viral on social media. The pictures had him sharing screen space with Deepak, director Homi Adajania and producer Dinesh Vijan. Irrfan looked like a perfect middle-aged local businessman, the way he looked in Hindi Medium. Angrezi Medium also features actor Manu Rishi, Radhika Madan and Kareena Kapoor Khan in important roles. While Manu plays the character of a rival businessman, who’s also the distant cousin of Irrfan’s character, Radhika plays the role of Champak’s daughter. Kareena, however, comes into the picture in London. She is reportedly playing the role of a female cop. In his latest interview with Mumbai Mirror, producer Dinesh Vijan revealed that the story of Angrezi Medium has Irrfan’s character dealing with his daughter’s wish of studying abroad. He also revealed how everyone became emotional on the sets when Irrfan gave his first shot. The actor has been under treatment for cancer in New York. It was only earlier last month that he returned back home. Angrezi Medium is the sequel to Irrfan’s 2017 hit film Hindi Medium. It featured Saba Qamar in the lead opposite the actor.